This weekend, updates to two applications that I’ve previously blogged about, MailTags and Pukka, have released updates. MailTags 2.0, now at Beta 10, released it’s new update yesterday (see changelog here). Besides an number of bug fixes, there are a couple of new features. I love MailTags – with my new job I’ve been forced back into the PC realm (although I’ve brought my Macbook Pro each day to do my real work, then transfer it to the ThinkPad), so I haven’t figured out how to get my new email into Mail.app. And I miss how easy my setup was – my system was tweaked so that I didn’t have to think, only do. Now I have to think more. This makes me crazy – especially when I read my favorite blog, Tim Gaden’s HawkWings. > Many memory optimizations have been made, which should result in a faster startup time as well as lower overhead while running. > Pukka is now much more adaptive to the bookmarking API in order to avoid connection problems. These are two applications that I (have) used everyday. In fact, Pukka has made it easy to bookmark any and all things that interest me, which then feeds from del.icio.us to my Tumblr, where I can then read at my leisure (as well as share with others). 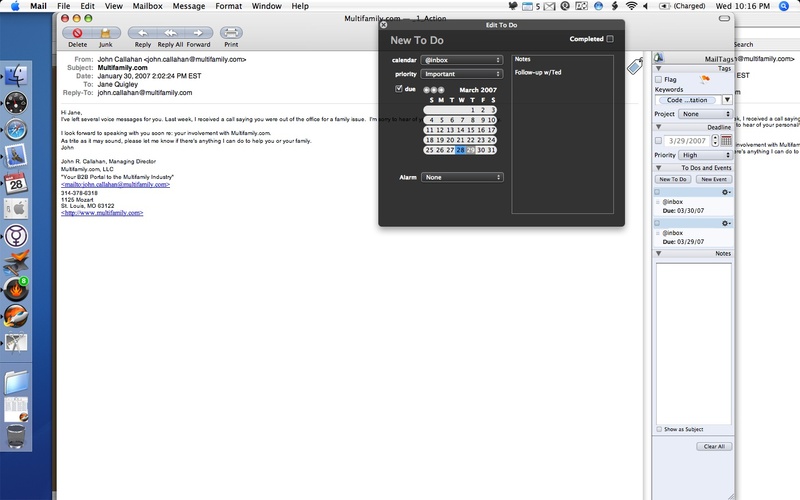 Event Maker 0.4 is an application that I use when I have to quickly create a new event, either from a phone call or an event from an email message (one that doesn’t include an invitation). Using a trigger that I created in Quicksilver, I’m able to call up Event Maker and fill in the fields. I know that there are ways of using the Quicksilver text “send to…” functionality, but I still haven’t mastered all that QS has to offer. 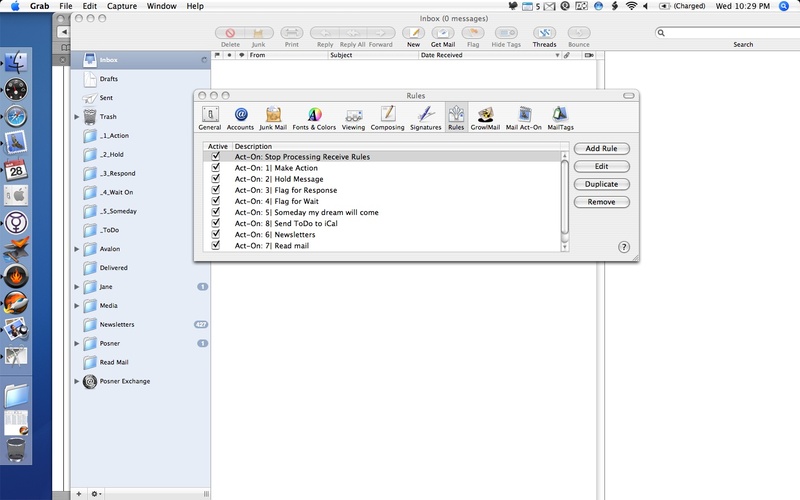 Event Maker makes it easy to compose and add to iCal both To Dos and Events in seconds. I have a tendency to use this less in creating Events/To Dos from my email as a recently added feature in MailTags allows me to do these right from my MTs pane. 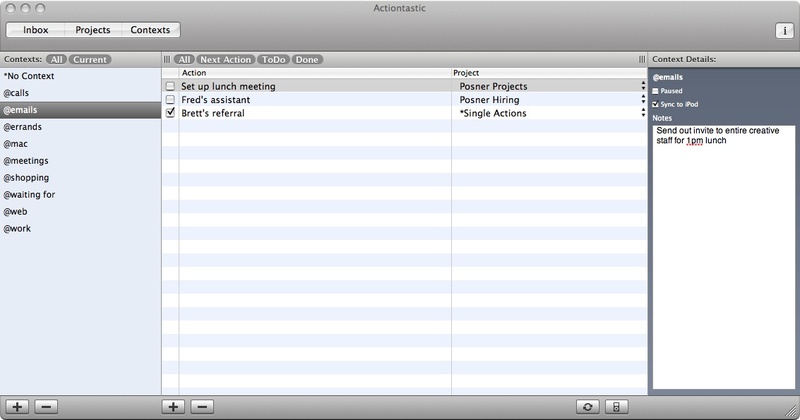 Still – this app is a great to have as part of my GTD process. 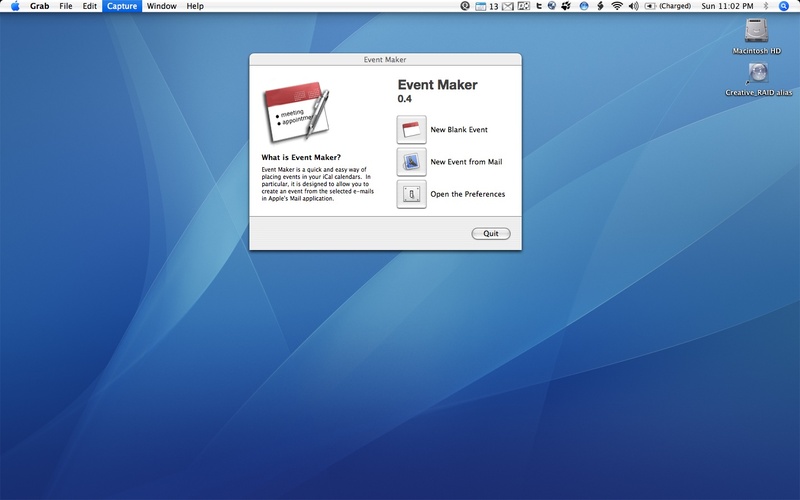 Mike Abdullah’s Event Maker is available from MacUpdate. I received this update on my VersionTracker feed about an hour ago. 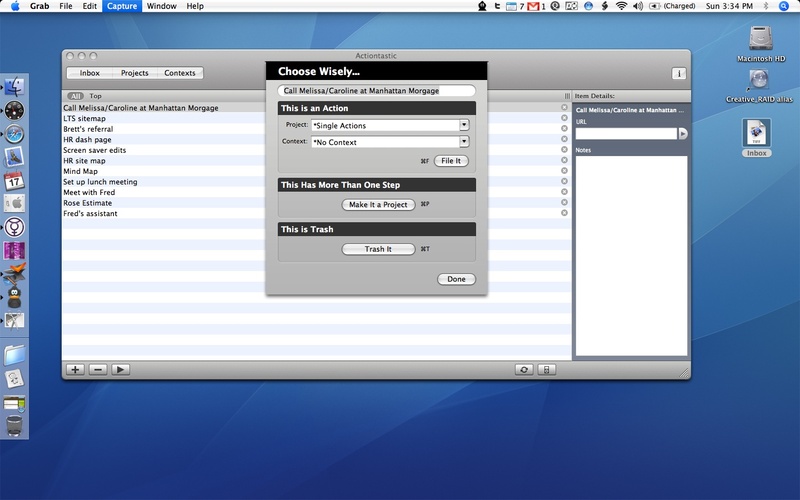 MailTags (by Indev) works with Apple’s Mail.app to add metadata (comments, due dates, projects and priority) to messages for classification and easy searching (with Mail’s built in Search or your Mac’s Spotlight). I’ve been using MailTags in conjunction with Indev’s Mail Act-On (which builds Mail rules sorting through simple keystrokes) for about a year and it really has changed the way I’m able to work throughout my day. 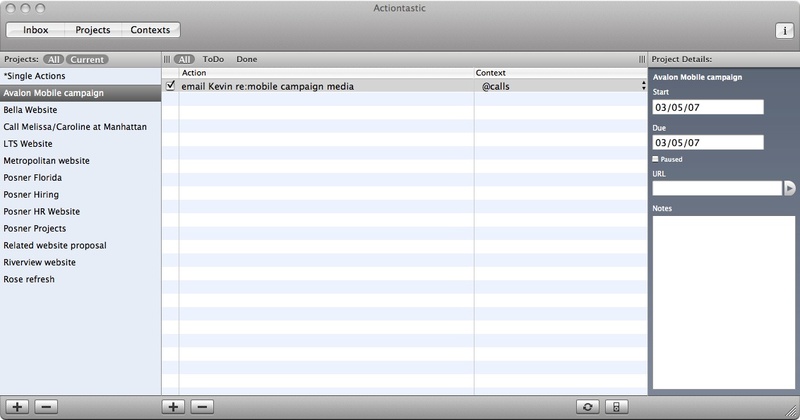 In a typical day, I receive over 150 email. These 2 applications allow me to quickly sort through my Inbox in minutes, and get it back to zero. MailTags also plays nice with Actiontastic – which I will illustrate with some screenshots later today.